Just steps away from shopping, dining, surf and sand, the Best Western Envoy Inn offers easy access to all things Atlantic City! The world-famous boardwalk and beach are directly behind this conveniently located Atlantic City hotel. The busting boardwalk, the longest in the world, offers something for everyone - from the eye-popping Ripley's Believe It or Not museum to The Walk, a collection of Atlantic City's premiere outlet shops. The area's hottest clubs and casinos, like Revel, Trump Plaza, Caesar's and the Trump Taj Majal, are all within walking distance. The Best Western Envoy Inn is also the perfect place to stay while enjoying one of the area's many popular events, like the Miss America Pageant, the New Jersey Teachers Convention, or a variety of air shows and antique shows. If you want to get away from the hustle and bustle of the boardwalk, this Atlantic City hotel is also close to other popular New Jersey attractions including the Noyes Museum, the Cape May Zoo, Historic Cape May and the Historic Gardener's Basin. There are several golf courses within a few minutes of the hotel. National historical landmarks, including the Liberty Bell and Independence Hall, are just an hour's drive away. Convenience is only one of the draws to this popular hotel in Atlantic City. 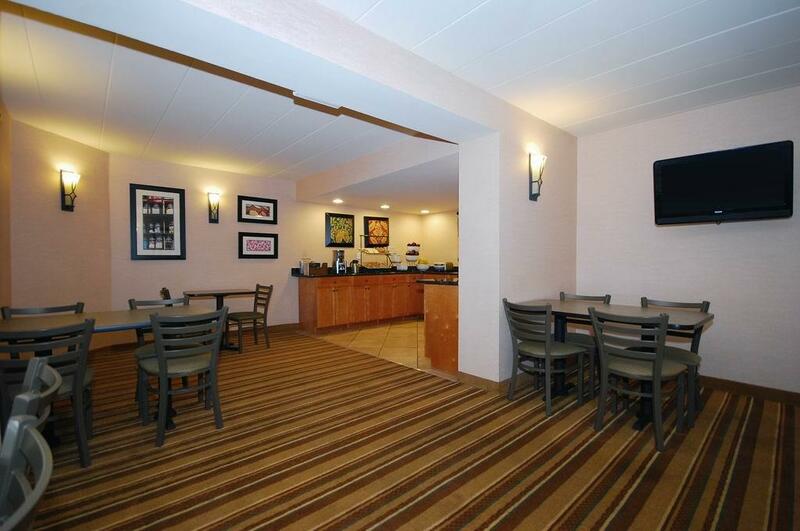 The Best Western Envoy Inn also boasts friendly service and top-rate amenities that include spacious rooms with cable satellite television, high-speed Internet access and limited business services. The hotel also offers Jacuzzi rooms and suites for guests who prefer more luxurious accommodations. For a convenient and affordable Atlantic City experience, book the Best Western Envoy Inn today and save! From North. Take Garden State Parkway south to Atlantic City Expressway to Pacific Avenue. Turn left and travel seven blocks to New York Avenue. The Best Western Envoy Inn is on the right side. From South. Take Interstate 95 to Walt Whitman Bridge to 42 South to the Atlantic City Expressway to Pacific Avenue. Turn left and travel seven blocks to New York Avenue. The Best Western Envoy Inn is located on the corner of New York Avenue and Pacific Avenue. From West. (Via Philadelphia) Take the Wal Whittman Bridge to 42 South to the Atlantic City Expressway to Pacific Avenue. Turn left and travel seven blocks to New York Avenue. The Best Western Envoy Inn is located on the corner of New York Avenue and Pacific Avenue. Atlantic City Beach/Boardwalk,0.05 mile(s) from Atlantic City Beach/Boardwalk, famous beach and boardwalk right behind our hotel! The Walk,0.50 mile(s) from The Walk, great prices and selection at Atlantic City's premier outlet shops. BCBG, Banana Republic, Nike, CK and more.